It may not be in a Galaxy Far Far Away but it was in Pittsburgh PA. Trade Show Holograms exhibited one of their Hologram Projectors at the AISTech 2013 Trade Show in May. The hologram exhibit was displayed at the SES booth and proved a popular attraction at the show. Star Wars may have made the hologram popular in movies but now holograms are becoming a reality at trade shows across the USA and Canada. 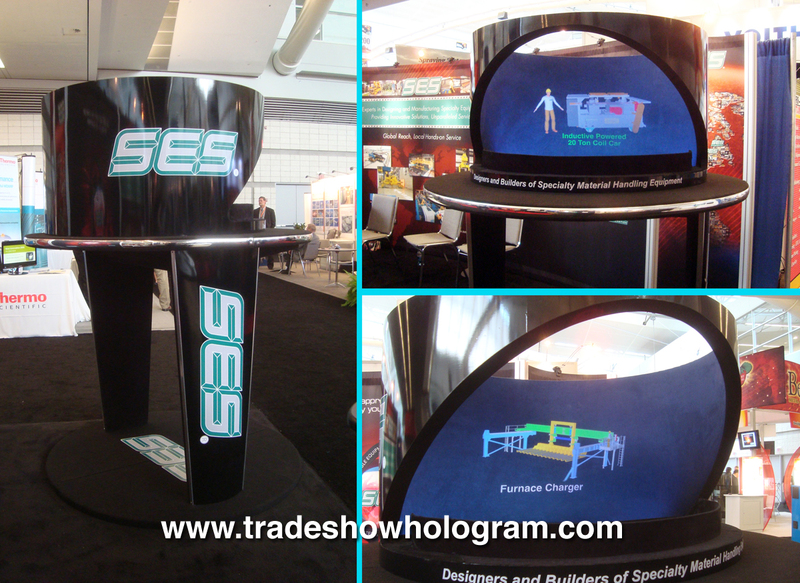 Trade Show Holograms offers the portable displays for sale or rental to clients who are looking to stand out in the crowded trade show market with something unique. The 3D Holographic projectors create the appearance of a 3D Hologram floating in an empty air space. Holographic images can range in size from a standard 16 inches high to up to 6 ft tall in various projector models.